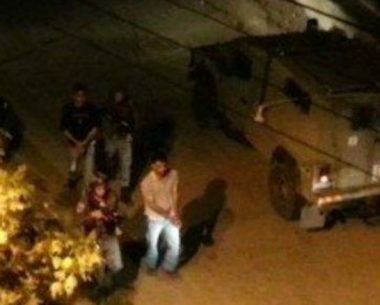 Israeli soldiers abducted, earlier on Tuesday at dawn, two young Palestinian men from Deir Abu Da’if and Kafr Dan villages, and invaded Jenin city, in northern West Bank. The soldiers abducted a young man, identified as Majdi Awwad, from Deir Abu Da’if, while trying to enter Jerusalem to pray in the Al-Aqsa Mosque. The army also abducted another Palestinian, identified as Wisam Mustafa ‘Aabed, from Kafr Dan, while in Jerusalem. In addition, the army invaded Jenin city, especially the al-Almaniyya Street, and drove around in a provocative manner, before withdrawing. It is worth mentioning that the soldiers also abducted five young men in Nablus, Hebron and Bethlehem, in the occupied West Bank.